Germany has been the richest, strongest, most efficient, orderly, productive, scientifically and technically advanced, and most populous country in Europe. Germany has been the richest, strongest, most efficient, orderly, productive, scientifically and technically advanced, and most populous country in Europe. The unification between East and West Germany at the end of the Cold War has had a profound impact on the country and the ramifications of this change have impacted business there. Most of those changes have been on the former East Germany as it has shifted from having a command economy to the relatively free market where performance and quality are the keys to success. It was feared that East Germany would become a drag on the West. While the East is like having a poor relative it has also created opportunities for others. Germany continues to be the leading economic power in Europe today and a dominant economic force worldwide. Its currency has been among the strongest and most stable of any European nation, and it is one ofs the world’s leading exporters of manufactured goods. Germany is considered a model of socialism and capitalism, which is supported by a large and prosperous middle class. Labor/management relations have been generally harmonious because German law has given workers much participation and protection. Education plays a major role in preparing students for skilled positions in the work place and its literacy rate is very high. Banks are dominant being the principal provider of funds for business ventures. Most businesses have been in business for many years, surviving wars, subsequent reconstruction, economic crisis and have generally prospered as this “Miracle of Europe” has fueled much of the European economy. However, Germans are very conservative and do not have many entrepreneurial or innovative enterprises when compared to the U.S. The government of Germany has made a major investment in the nation’s business community that has led to the imposition of many regulations. The relationships between the government and the business community are much closer than in the U.S. While the U.S. economy is increasingly driven by high tech and information industries, Germany’s expertise is in the “smokestack” industries. Their great strength is that they know what they are doing because they have done it that way for a long time. Because they are so well-practiced in their areas of expertise quality and craftsmanship seems to come easy. Germany is a difficult country to precisely define because it continues to change. In many ways it is similar to the U.S., but the business person can not assume that they can do business the U.S. way or that they feel the same way about how to do business as the American businessperson. In the next several pages represent a summary from several sources describing the Germany way of doing business, business practices, leadership styles, negotiating styles, communication styles. It would be helpful for the American businessperson to understand these differences and adapt in order to do business there. Adolf Hitler’s Beliefs- Experts often find it difficult to identify Adolf Hitler’s beliefs because the man took such an opportunistic role in shaping German nationalism. Adolf Hitler’s Death- On April 30, 1945, Adolf Hitler committed suicide by gunshot within his bunker in Berlin. Adolf Hitler and the Jews – Throughout his life, Adolf Hitler had a primary target for his hatred and anger about the history of his nation: the Jews. Adolf Hitler’s Life – Adolf Hitler is remembered as one of modern history’s most notorious political leaders. Auschwitz- Auschwitz Research Paper looks at one of the most recognizable death camps during holocaust. The Brussels Treaty- The Brussels Treaty Research Paper analyzes the effects that the treaty had on the diplomacy. Daniel Goldhagen – Daniel Goldhagen research papers review the book Hitler’s Willing Executioners: Ordinary Germans and the Holocaust. Downfall of the Weimer Republic - The validity of the argument that claims the inevitability of the Weimar Republic’s collapse and the chance ascension of the NSDAP will be assessed and critically analyzed. 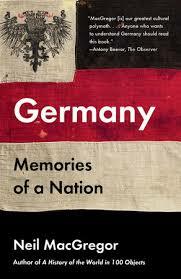 Federal Republic of Germany – Federal Republic of Germany research paper dissects Nazi Germany after World War II and its attempt to rebuild itself. German Aggression and WWII- The initial reaction of both the leadership and the public in the United States blamed Germany for starting WWII. German Militarism- German Militarism research papers explore the cause of World War II as German aggression and military exploitation. German Peasants’ War- German Peasants’ War Research Paper studies the first modern revolution. German Political Representation – German Political Representation research paper overviews the system in the Federal Republic of Germany. German Prisoners of Wars – This is a research paper on the German Prisoners of war. Post war affects and lifestyle will also be examined. German Public Knowledge of Concentration Camps – German Public Knowledge of Concentration Camps research paper explores Nazi Germany whether or not their citizens know of the death camps of Hitler. German Reich – German Reich research papers show that the German victory over France lead to the German Reich. Germanic Invasion of the Roman Empire – Germanic Invasion of the Roman Empire research papers consider the invasion of Germania, the Barbarians and others that caused the fall of Rome. Gustav Stresemann – Stresemann had been born in Berlin and educated at the universities of Berlin and Leipzig, entering the Reichstag in 1907. The History of the German Reformation – Many religion and history courses will study the era of the Reformation in Germany, which took place between 1500 and 1648. Hitler and Communism – While Adolph Hitler is a name that is typically associated with loss and reckless dictatorship, it can be surmised that without Hitler, Europe was in grave danger of the spread of communism. Nazi Euthanasia Program – The Nazi war machine included a program of euthanasia for tens of thousands of disabled individuals, both Jews and non-Jews. Nazi Germany – Nazi Germany term papers examine the Nazi Party after World War I and the social and political devastation that overtook the German people. Nazi Government- Nazi Government Research Paper discusses how it was run and what was entailed with it. Nazi Medical Experiments- Nazi Medical Experiments Research Paper looks at the experimental medical procedures done to Jew, Gypsies, and handicapped people that were in concentration camps. Nazi Party – Nazi Party term papers overview the final solution, Nazi Germany and Aryan ideology that spurred on World War II. Police Battalion 101 - Research papers on Police Battalion 101 discuss the Reserve Police Battalion 101 was a Nazi paramilitary organization under the control of the SS. Reporter for the Washington Post in Germany During 1938- Reporter for the Washington Post in Germany During 1938 Research Paper discusses an example of an order placed on being a hypothetical reporter during November 9 and 10th 1938. Rise of the Nazi Party – Beginning in 1919, former soldier Adolf Hitler joined the German Workers’ Party, the predecessor to the Nazi Party. Unification of Germany – In the 1870s, Germany became a nation. Weimar Republic – In February 1919, a provisional coalition met in the German city of Weimar and wrote a constitution that established Germany as a democratic federal republic and provided for two houses of parliament, the Reichstag and the Reichsrat. Paper Masters writes custom research papers on Germany and delve into the history of this country and important events within it.